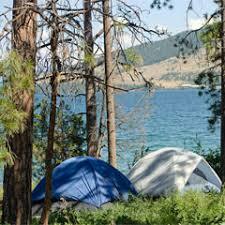 This campground is located on the southwest side of the Flathead Lake. There are 40 site and 3 yurts, most of them on the shoreline. Each site has a table and fire ring. There are showers and flushable toilets. 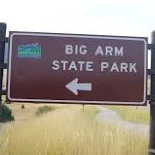 Activities: boating, fishing, swimming, camping, picnicking, hiking, and wildlife viewing. Open Sept through December. 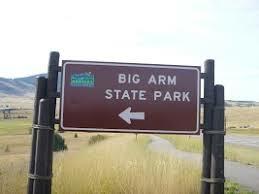 Big Arm State Park is located 13 miles north of Polson on U.S. 93.